In this day and age, every home within the country of Canada needs a reliable refrigerator. Without it, you will not be able to keep your items cool and fresh. This is undeniably true for the residents of Ontario. 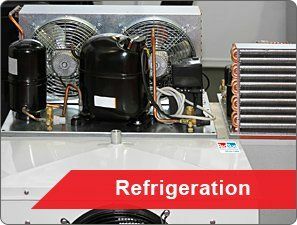 Since the demand is so high, refrigeration contractors have found that Ontario is a great place to set up a business. As a refrigeration contractor, you would be fortunate to be able to work within the province. Nevertheless, you should always do everything possible to ensure that your business is protected from start to finish. You truly never know when you’re going to meet an unhappy customer and their anger will transform into a lawsuit. Within this in-depth guide, you will learn about contractors liability insurance for refrigeration contractors. 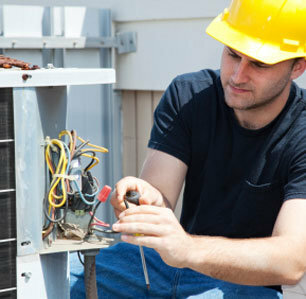 How Does Refrigeration Contractor Insurance Work? First and foremost, you should take the time to get a better understanding of refrigeration contractor insurance. How exactly does it work? Well, this type of insurance is truly very similar to any other type of liability insurance. You will be required to pay a monthly premium. If a bad situation arises between your company and the client, the insurance will enter the picture and begin paying for the damages. There are some limitations, but contractors insurance will cover bodily injury, property damage and personal injury. This insurance will cover mistakes that you make, as well as those that are made by your employees. Subcontractors insurance can be added to a company’s CGL policy by requesting the insurance company to add the coverage. You may have to may extra premium to have this additional coverage for the subs you hire. As you can see already, all refrigeration contractors need to acquire a sufficient amount of general liability insurance. Who Can General Liability Insurance For Refrigeration Contractors Protect? Consumers in Ontario will often believe that commercial insurance is designed to protect the business and no one else. It is definitely true that this type of coverage will go to great lengths to protect your company and your employees. Nevertheless, the benefits provided can go well beyond this level. In fact, it is true that general liability insurance will often protect everything that is involved. It will protect the company, the client and the worker. How does that work? Well, the insurance helps to protect the company, because it can be used to pay for damages and injuries. This insurance policy may pay medical expenses of third parties that incur physical injuries because of your negligence, but this coverage should absolutely not be confused with a health insurance policy. Health insurance policies are separately bought and require medical underwriting in some bases before any any coverage for the beneficiary (you) is active. In return, this can help to prevent the company from filing for bankruptcy at some point in the future. Therefore, it can also protect the customer and help keep their job secure. Simultaneously, the insurance will protect the client by ensuring that the money is there to pay them. In some cases, the company will not have the money, but the insurance will. With that being said, general liability insurance is truly capable of protecting everyone. How Much Will You Pay For Refrigeration Contractors Insurance? There is no doubt that you’re going to be interested in knowing exactly how much you’ll pay for contractors insurance. Unfortunately, finding the exact premium is more difficult than you might imagine. In fact, it is true that the prices will typically change from one company to the next. Numerous factors can play a role in determining exactly how much you will pay each and every month. The company size, history, contracts, and many other factors will be taken into consideration when attempting to figure out your exact premium. By keeping your company in good standing and avoiding claims, you will be able to keep the costs to a minimum. You should also work with a broker to ensure that you get the lowest price available to you. Our firm is more than happy to help the refrigeration contractors get commercial general liability insurance across all cities such as Brampton, Toronto, and Ottawa in Ontario. We have brokers throughout the province and we’re ready to go to bat for you. We are very familiar with the refrigeration business. We’ve working with hundreds of Ontario refrigeration contractors over the years and we’re fully aware of their risks and their concerns. Simultaneously, we have a deep relationship with the top insurance providers in the country of Canada. By working with us, there is a good chance that you’ll be able to push your prices downward, while increasing the amount of coverage that you receive. We always go the extra mile to ensure that our clients get exactly what they demand, without being forced to pay an arm and a leg to get it!